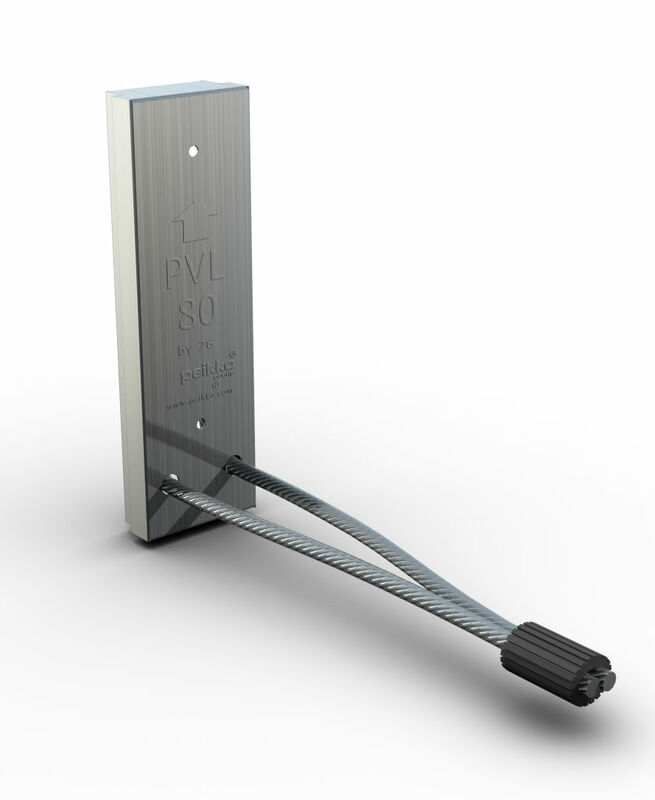 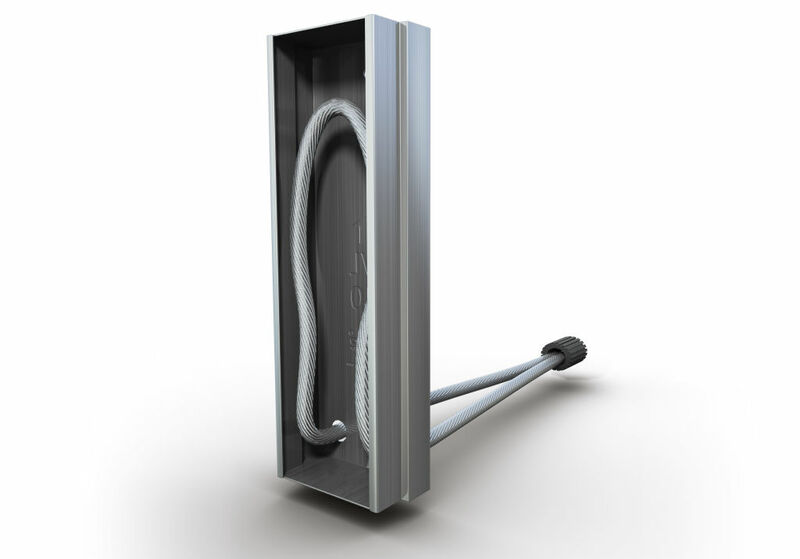 PVL® Connecting Loops are single-wire loops for connecting precast wall panels to each other or to a column. 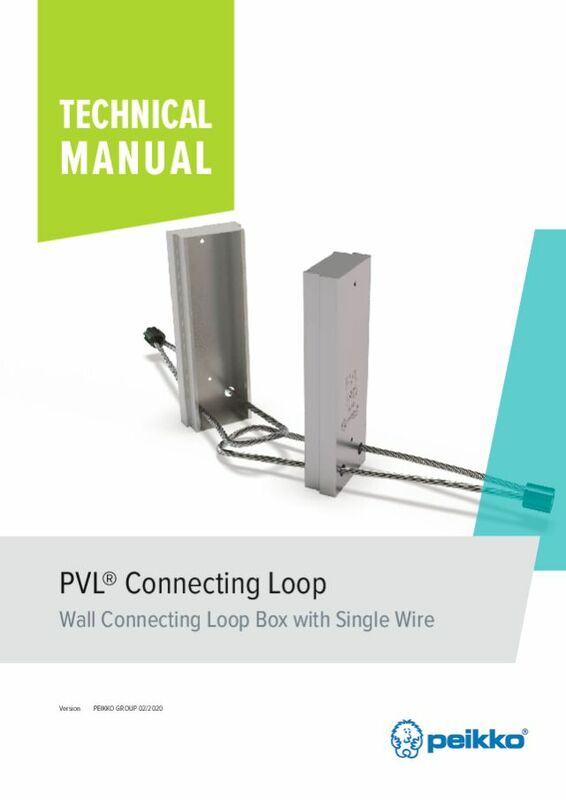 PVL® Connecting Loops make wall installation easy: just remove the tape and bend the loop to the operating position. 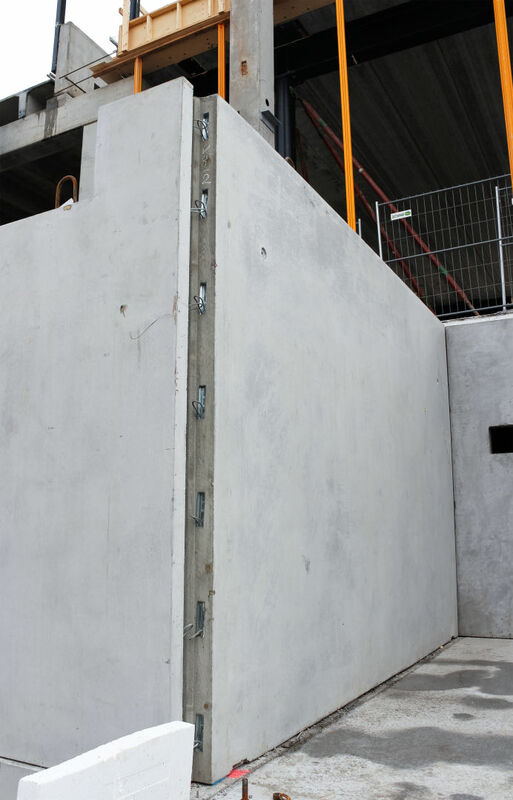 Wire loop boxes are installed to the formwork according to the spacing needed to bear the shear loads, before the panel is cast. 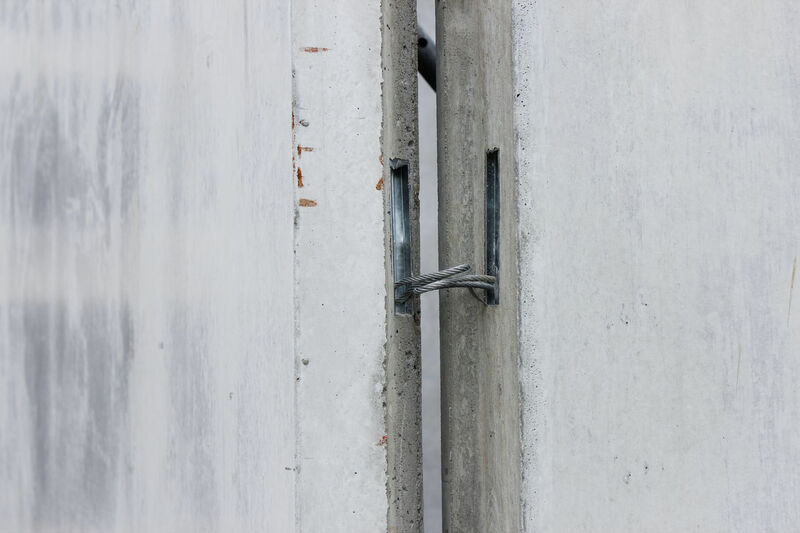 After removing the formwork, the protective tape is removed and the loop is opened with a hammer or a pin. 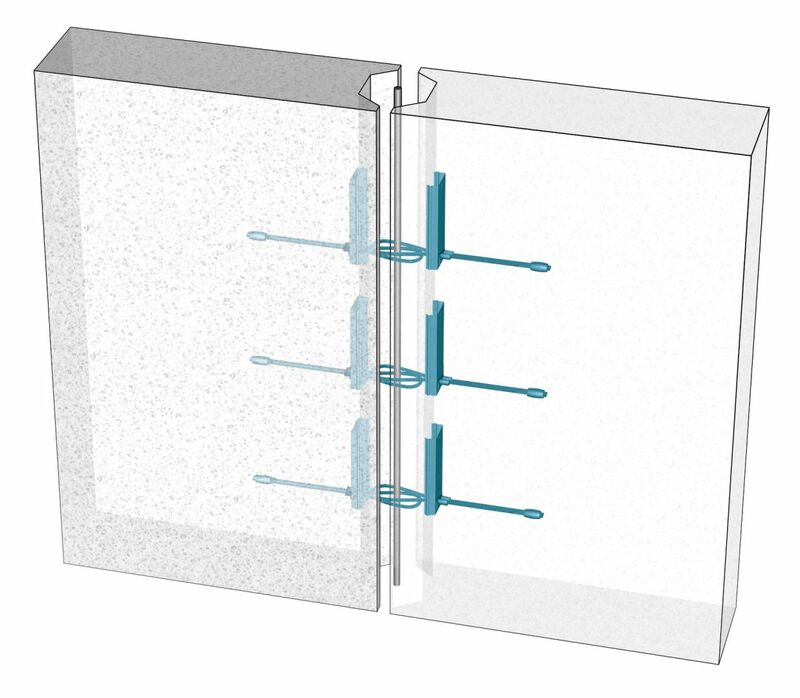 Wall panels are installed and supported according to plans. 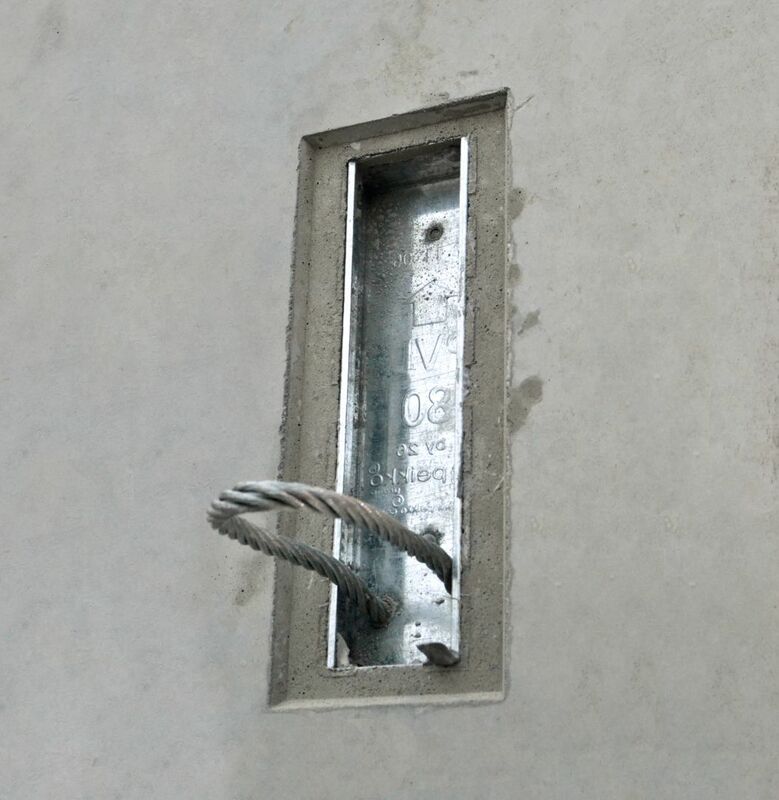 A vertical rebar is installed into a joint through the loops, and the horizontal position of the loops is checked. 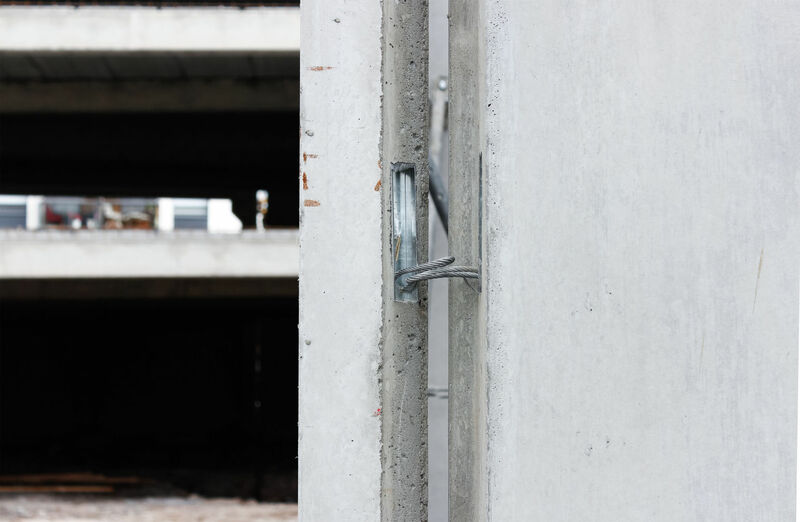 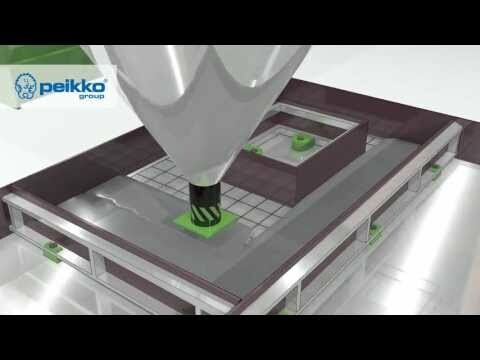 After completion of the formwork, concrete grout is poured or pumped into the joint. 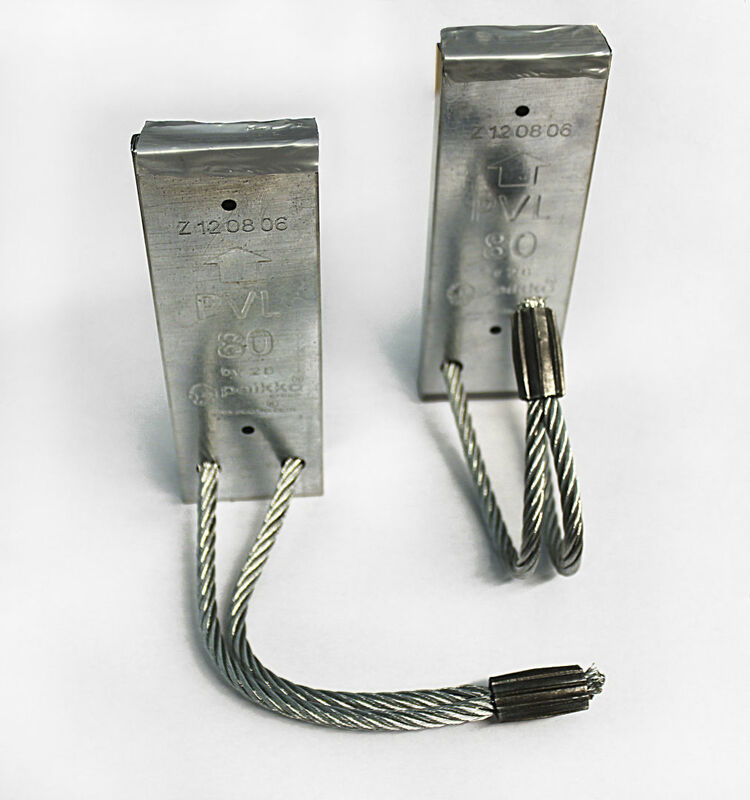 Standard wire lengths of 60 mm, 80 mm, 100 mm, 120 mm and 140 mm are available for joint depths ranging from 80 mm to 140 mm.